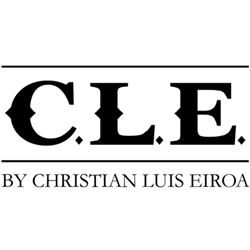 The CLE lineup of hand-rolled premium cigars is the latest creation by Christian Eiroa. Handmade individually by highly skilled cigar rollers in Honduras, each CLE premium cigar uses aged Honduran long-fillers and binders grown from Cuban seeds and features a Habano-seed tobacco leaf for the wrapper. CLE premium cigars are medium to full bodied, making them a perfectly-balanced bold smoke, producing long and even draws. CLE handmade cigars are perfect for any cigar connoisseur regardless of budget or palate preference. Smokers Discounts believes you'll love CLE premium cigars. We’ve made it affordable and easy to buy these hand-rolled cigars online. A variety of sizes and flavors are listed below in our online cigar store. Each of these styles are in stock and available today for a low discount price. Call us for more details!